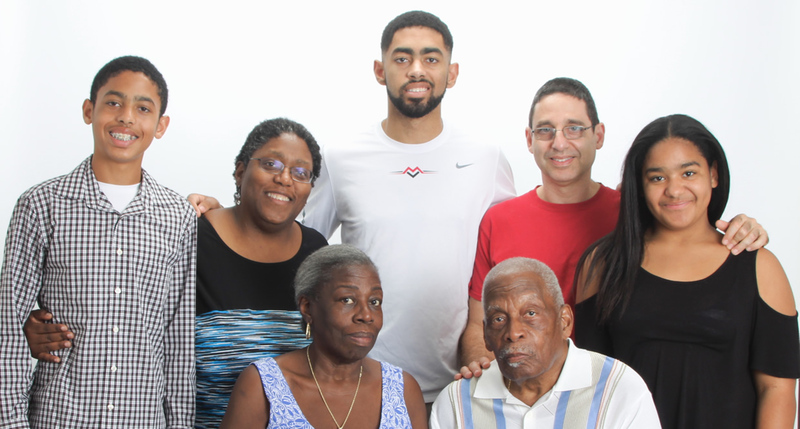 With great sadness and heartbreak, we inform you of the death of Micah Weinberger, beloved son, brother, grandson, nephew, friend, scholar, athlete, and all-around lovely person. Micah died on April 11, 2018 at the age of 15. None who knew Micah can forget his smile and sense of humor, his lightning-fast mind, his endless curiosity, or his immense kindness. There’s little he enjoyed more than helping others, and he had a keen eye for noticing something that needed doing and simply doing it. Mikey brought something special to every conversation and every experience. No food was too weird for his palate, no topic of conversation too esoteric, no question too dull to elicit a quirky insightful answer. Micah loved physical play and was a tenacious athlete, competing in track, wrestling and volleyball at Wilcox High School in his freshman year. In his sophomore year he transferred to the Mission Early College High School. 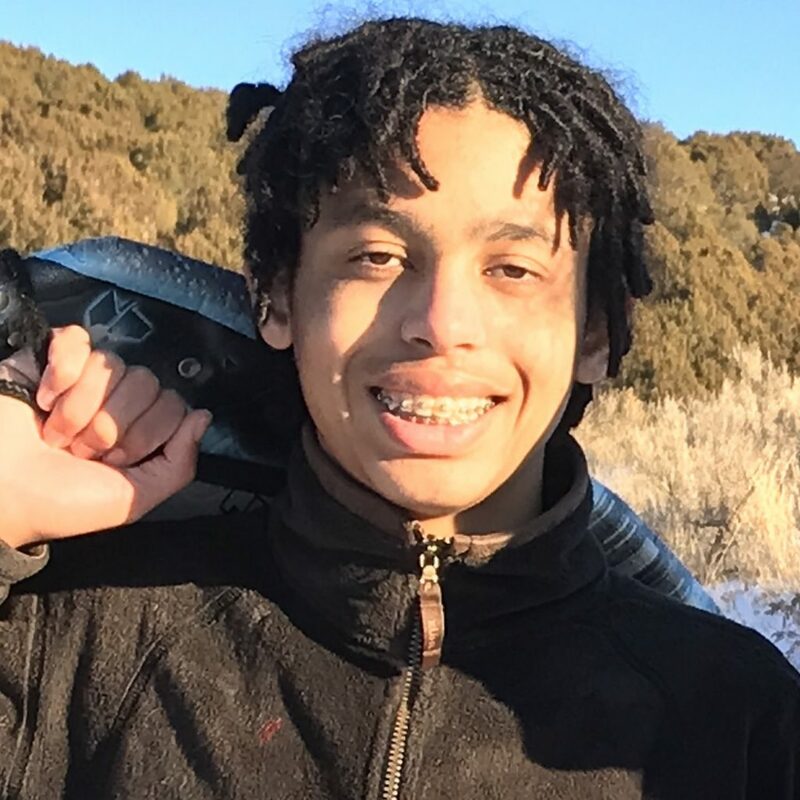 He greatly enjoyed studying computer science, math and other subjects alongside college students as well as other high school students. His brilliance was recognized by his teachers at Discovery Charter School, Wilcox High and Mission College. Micah was a compassionate kid, a great listener, and a great talker. He was skilled in nonviolent communication (NVC), an approach to compassion and connection that he learned from his parents and from participating in family camps focused on NVC. He was planning to serve as an intern at an NVC social justice leadership program in July. Mikey’s death leaves a hole in the universe far bigger than he was, and a hole in our hearts that will never be filled. May his memory be a blessing. Click to view the slideshow shown at Micah's memorial on YouTube. Link to the Memorial service coming soon. You are invited to join in a celebration in memory of Micah Weinberger’s life, to be held at Mission College in Santa Clara on April 21st, 1 to 4 pm. To RSVP, please click here. Your RSVP will help us plan for the refreshments to be served after the ceremony. For questions about the event please email micahsmemorial@gmail.com. Please park in Parking Lot C, the closest lot to the Hospitality Management Building where Micah’s Memorial will be held. 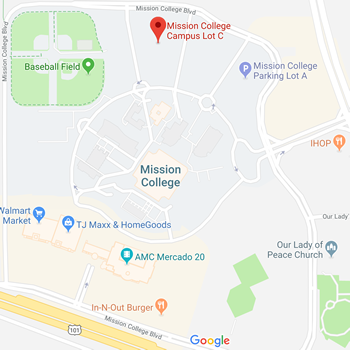 Mission College is donating free parking to those attending who are parked in Parking Lot C.
We recognize that some people may want to show their care for Micah’s family by sending or bringing flowers. If you are so moved, please consider making a donation in Micah’s memory in lieu of flowers or gifts to Yes We Code or Running for a Better Oakland. Their work speaks to some of Micah’s passions and talents. You could also donate to or volunteer at the charity of your choice and post a message in the Acts of Kindness forum on this website. Several people have asked if there is some way they can help. If you would like to sign up to volunteer to run an errand, give a ride, bring a meal, etc., please sign up on LotsaHelpingHands. To not burden Roxy and Art, please use this site instead of contacting them directly. 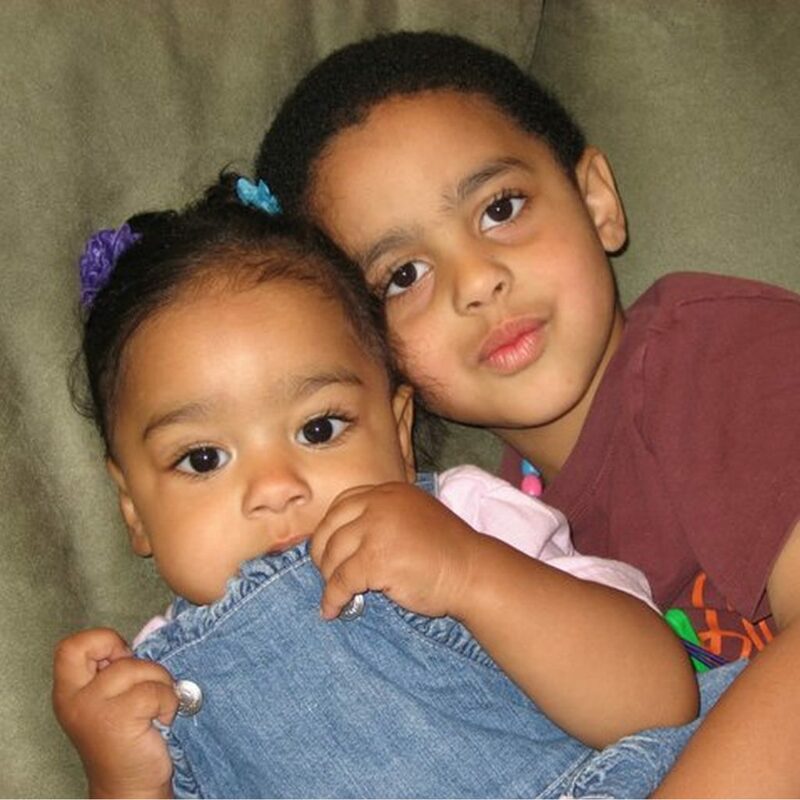 Micah was passionate about so many things – programming, math, video games, nature, anime, running. Post a memory of Micah so we can all celebrate how he touched our lives. Contribute to a community photo album of Micah here. In the spirit of Micah’s extraordinary care for others, we invite you to commit to doing one act of kindness for another person. Please share here what you might do. Please register on this site if you wish to leave a comment so that we can reduce spam on the site. You may be at a loss as to how to be with someone who has lost someone close to them by suicide. You may even be tempted to stay away for fear that you might say the wrong thing. Survivors need the support and care of their community and it is important that those with them understand what is most nurturing in this situation. For those of you familiar with Nonviolent Communication (NVC), the advice given by many experts around supporting survivors of suicide boils down to staying in empathy with them. If we avoid non-empathic responses, we will avoid saying many of the things which have been highlighted as being particularly unsupportive. For those of you not familiar with NVC, the following is a list of Do’s & Don’ts compiled from the advice of a number of groups supporting suicide survivors. Show up – Friends sometimes avoid survivors because of their own discomfort with suicide or out of worry about saying the wrong thing. Your presence matters. Think about how you connect – Many people use texting and social media to share information and find out what is happening with others. A recent death is a topic that is probably too sensitive to discuss by text or over social media. When reaching out to someone who has recently lost a love one, personal connection is an important part of the support you can offer. A visit in person or a phone call will usually offer more opportunity for this than a social media message. When the time is right, offer very specific assistance – It is hard for people who have gone through a loss to figure out how you can help. So saying, “Let me know if I can be of help,” often is not helpful at all. Please be specific about what kinds of support you would like to offer, e.g. : “I’d like to bring dinner on Tuesday night.” So many different things can be helpful at this time: making meals, giving rides, doing chores, providing emotional presence. Be present for whatever comes up for the mourner – Give survivors the space to express whatever they are experiencing or not to express anything at all. Nonverbal support – Sometimes the best thing to say is nothing at all. Stay present with the survivor and offer them whatever touch they are comfortable with and want in the moment. If you have children, be there for them – Like adults, young people are likely to have big feelings and questions when hearing that a young person has died. This is a time when all of us need space to share our feelings. Young people might also need support in how to approach family members of the one who has died. Consider going over some of the ideas on this page to see how they might incorporate them when talking to siblings of the person who has died. Don’t ask questions – Although you may feel curious about the details of the suicide and its immediate aftermath, recognize how asking questions about intimate details can land as invasive and painful. Allow those grieving to decide themselves when and to whom they want to speak about the details. Don’t minimize or reassure – Don’t say things which might minimize the sense of loss of a survivor, e.g. “At least you still have…” or “This will get better with time.” Rather than attempting to reduce the loss and pain, recognize the deep suffering and meet the survivor there. Don’t give advice – Unsolicited advice, like minimizing comments, can land as not recognizing how the survivor is feeling right now. Don’t say “commit” – The American Foundation for Suicide Prevention recommends against using the verb “commit” when talking about suicide. The word commit has a connotation of wrongness, as in committing a sin or a crime. Their advice is to use phrases such as “die by suicide” to avoid further stigmatizing this type of death. Don’t spiritualize the loss – Comments such as “Everything happens for a reason” or “They are in a better place” or invoking a god may not land as comfort to a survivor who doesn’t share your spiritual views. Also, those grieving may feel angry or bewildered at the god they do believe in. Don’t imply blame – Questions such as “Did you see this coming?” imply that the survivor might have been able to prevent the suicide. Almost all survivors struggle with thoughts such as this, and the associated feelings of guilt. Don’t inadvertently reinforce this with something you say. Don’t say negative things about the person who has died – Anger is a normal stage in the grieving process. Make sure to get support yourself around any feelings of anger so that you can be fully present to the experience of the survivor when you speak to them. Don’t refer to suicide as a choice – To suggest that a person in pain is making a fully conscious, well-considered choice is likely not true, and can land as extremely painful to those grieving. Micah, held everlasting in the circle of love, you graced our lives with your presence!